Booth #3224 - Featuring UltraFlex – a partial state of charge 17kWh battery system and we have two 45-minute educational sessions scheduled on our new UltraBattery technology. 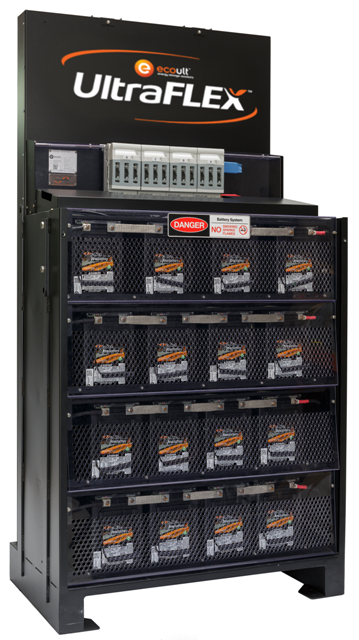 MK Battery is a wholly owned subsidiary of East Penn Manufacturing which operates the largest single-site, lead battery manufacturing facility in the world. We offer FLOODED, AGM and GEL Monobloc and high capacity batteries as well as the UltraBattery, a new dimension in lead battery technology: a hybrid, long-life energy storage device containing both an ultracapacitor and an AGM battery for highly efficient partial-state-of-charge Renewable Energy and Energy Storage applications. SPI 2018 provides a terrific opportunity for us to showcase our products, educate the market about our newest technologies, and connect with new and existing customers at the nation’s largest Renewable Energy / Energy Storage Exhibition. YES – we have two 45-minute educational sessions scheduled on our new UltraBattery technology. We enjoy the benefit of being based in Anaheim, a location offering great cuisine and numerous theme parks and recreational activities. For baseball fans, the Los Angeles Angels of Anaheim are playing the Texas Rangers at home during the week of the show and tickets are usually available.